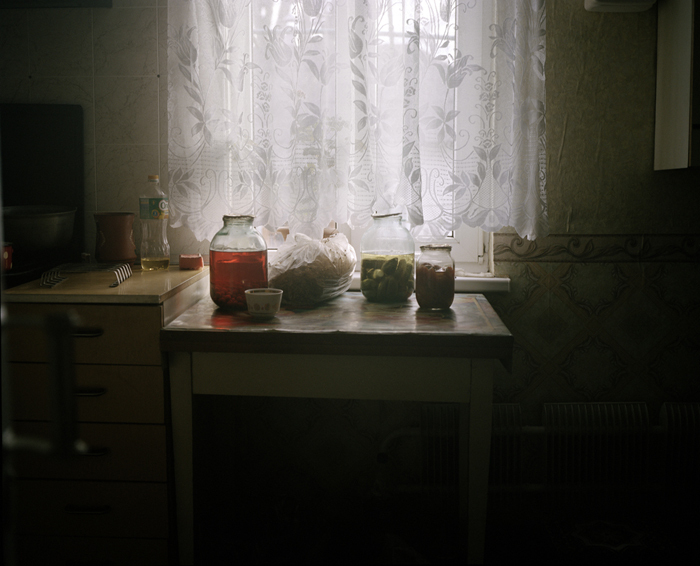 Stories East of the River is an intimate account of teenagers growing up in the frozen conflict zone of Trans-Dniester, a narrow slither of land situated on the eastern Moldovan boarder. The region is a twenty year long disputed sovereignty and remains unrecognised by the UN. This came about in the Soviet Union's dying days, when alarm grew in the Dniester region over growing Moldovan nationalism and the possible reunification of Moldova with Romania. A 1989 law, which made Moldovan an official language added to the tension, and Trans-Dniester proclaimed its secession in September 1990. So-called independence was seen by many as a triumph that should have secured a better future, but the PMR government has only made time stand still, where its people are subjected to a poverty stricken, isolated and somewhat entrapped existence. The separatist capital Tiraspol is a place described as a living soviet museum or the Cuba of Eastern Europe, which attracts curious day-trippers, but few seek to go beyond the city limits. Exploring the rarely visited and neglected cities of Dubossary, Rybnitsa and Karmenka fragments of history and politics are pieced together drawing a portrait of the new generation negotiating their lives in a country that doesn’t exist. Citing the decayed splendor of the Soviet Unions’ utopian dream, a strange artificiality surrounding the young and the political status of the country hangs in the air. Moving beyond their exterior world, interior spaces echo the psychological states and social concerns of the young and places of the everyday, become the stage of a suspended time. People are captured looking afar, but the cameras gaze doesn’t intend to be voyeuristic, but rather assist the spectator to become projected in their elsewhere. So then Stories East of the River, although about a particular place and its youth caught in an on-going political and economic crisis, it also becomes a universal story, that in some small way can be reflective of anyone’s reality. Chloe Borkett is a London, England based artist.